Game: Puffle Roundup coz i get so many coins! Like 4,200-4,600 in 10minutes! Dislikes & Rants: Monkeys coz they are violent, vegetables, rude people hmph! Q. What's the difference between Prince William and a Boogey? OTHER IMAGES: Exclusive Celebrity Partayyyyy! oh, your from the philippines? huh? don't remove this, i have over 40 cousins in the philippines, i'm sorta third spanish, third english and third filipino! 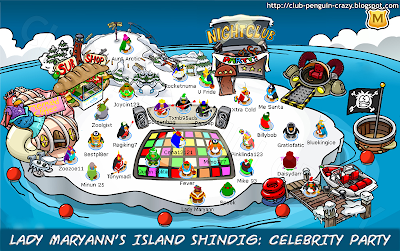 Can we meet on Club penguin some time? 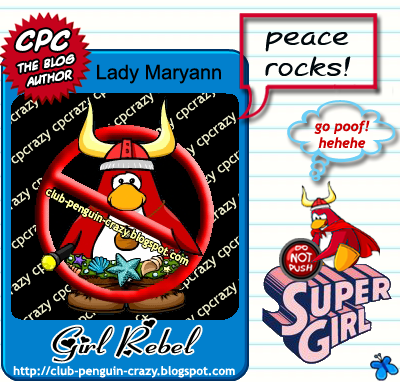 awesome can i be a post my penguin is 3jel97 my site is http://3jel97.wordpress.com just post so we can meet and we have a conversation! !